How to Learn English through the News? We all listen to news at least once in a day with the thought of getting a perspective into what’s happening around us, in our society, state and country. But have you ever thought that listening to news can also help you improve your English along with your general knowledge? News programs make use of simple and direct language so that a layman can understand. Language learning starts with simple lessons and hence, listening to news can be your personal tutor. By listening to news, you can not only improve your English vocabulary but also connect with other speakers as you know what’s happening in the world and can use it as a communication starter. If you directly jump on to ‘The Wall Street Journal’, you may find it difficult to understand the news leave alone picking up the vocab. You need to start at a level that works perfectly for you and then move on to difficult sections. For instance, start with reading the ‘Times City’, a section in the Times of India on news pertaining to your locality, before venturing into business or other sections. You can also listen to breaking news on English speaking news channels. There was a reason why earlier schools used to start their day with reading news loudly in front of the class. If you never got a chance then, take your dig now. Catch hold of your morning newspaper and read the headlines loudly. Once you find news of your interest, read the whole article loudly preferably standing in front of a mirror. This way you can learn how you sound while you speak English and whether or not you carry a local accent. Paper newspapers will soon become a passé with e-newspapers taking the fore. 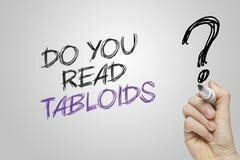 Start with reading a tabloid, the reason being the kind of language used in a tabloid is very similar to what is used on streets and at work station. The tabloid language makes your communication with other speakers very easy as they carry regular phrases and expressions. Some of us are always hooked to sports section while some may be interested in entertainment. Pick up your area of interest and read news from the most authentic place. For instance, ESPN for sports. You can download the app or read the news online. Reading and understanding news should be taken seriously if you want to improve your English speaking skills. Always keep a pen in hand, whether you are listening to news or reading a newspaper. Note down expressions that you have not heard of before and learn their use in the context. 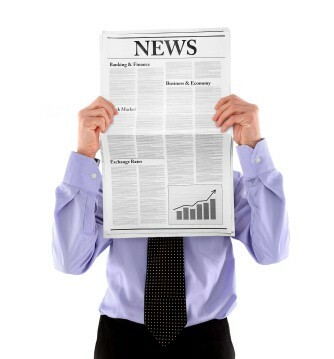 Listening and reading news regularly will definitely help you improve your spoken English communication. 2. How to answer confidently in an exit interview? 5. How to Write a Formal Email Regarding a Leave/ Off?